This is going to be Zac Stacy’s final appearance in the power rankings, as I expect those last leagues that were allowing him to linger on the waiver wire will finally get a clue. If Stacy’s still available in your league A) spend your entire budget to get him. B) Try finding a more competitive league for next year… Running Back Sit of the Week: Mike James - In my face. James overcame a brutal matchup in Seattle piling up 158 yards on the ground, even tossing a TD pass too. But the thing that we need to care about as Fantasy owners were James’ 30 touches. That’s important. Over the weekend, Tampa management said they think Doug Martin could return in 4 weeks, I don’t buy that. But even if it is true, you can get capable RB2 numbers from James until Martin comes back… Don’t forget about Brian Leonard in PPR leagues, either. He now has 10 receptions the last two weeks… Darren McFadden’s latest hamstring setback is apparently a reaggravation of same one he’s been dealing with for the entire season - I wouldn’t be expecting him back anytime soon. Which means: Rashad Jennings pickup time – AGAIN. Jennings has generated some quality garbage numbers so far this year with DMC off the field, almost exclusively through the passing game. PPR players should be in the Jennings market whether you need a RB or not… Ben Tate will handle the entire Texans workload if Arian Foster's back keeps him sidelined... Both Chris Ogbonnaya and Fozzy Whittaker are more valuable than Willis McGahee at this point. But that doesn’t mean they're startable in anything outside the deepest of PPR leagues… I continue to like Andre Brown more than Shane Veeren. Brown’s path to a full workload is much clearer. David Wilson is getting his neck reevaluated later this week, and I suspect he may be finished for the season. No need to fool around with neck injuries… Jonathan Stewart’s return has made the Panthers’ running back triumvirate essentially useless. Stewart, DeAngelo Williams and Mike Tolbert are all sharing touches, and none are getting enough of them to really matter. Plus, CAAAAAMMMMMMMM pilfers their workloads too. All are good stashes because any one of them is prone to get injured at a moment’s notice, and if that happens, you’ll want to have made the pickup now while no one wants them. In the interim, Tolbert is the most valuable – he gets the goal line work. Don’t be flustered by Terrance Williams’ down game against the Vikings. He still generated 7 targets and will be fine going forward… I remain steadfast in my admiration of Emmanuel Sanders. The Steelers aren’t very good, which has led to them trailing in a bunch of games and passing far more often than I think many realize. Sanders is generally a bit boom or bust, but his matching 11 target games over the past two weeks have converted into 13 grabs for 186 yards and a score… When I started the official Aaron Dobson fan club a month ago I didn’t think we’ve have so many members this quickly. I'm cleaning up in dues! But here we are. That’s what 9 catches, 190 yards and 3 TDs over his last two games will do. Dobson is the perfect example of speculating future success based on work rate. His targets were consistently high at the beginning of the season, and that hasn’t waivered. Only now, those looks are translating into real production on field, and more importantly – Fantasy success… Mike Brown emerged as Fantasy relevant over the weekend after news broke Justin BlackMON was suspended for remainder of the season. I recommended scooping up Brown as quickly as possible just to get him, especially if you were/are a BlackMON owner. But let’s cool it a bit on expectations for Brown, shall we? He won’t be as good as BlackMON; the talent levels don’t match, so this is not a clear plug and play situation. I prefer Brown in PPR over standard formats, and only in 12+ team leagues. He won’t be great, but he’ll see enough targets to produce consistent reception totals every week. Sort of like a lesser Cecil Shorts (whose value just went way up, FYI). Brown will be a solid WR4 on your bench – there if you need a body to insert into your lineup in a pinch. But Brown’s not an equal BlackMON replacement. Oh, don’t forget about Ace Sanders in super, duper, uber deep leagues… I was ALL-IN on Doug Baldwin this weekend, and he came through. What a guy! Sans Sidney Rice for the rest of 2013 and Percy Harvin’s debut being pushed back more times than John Carter, Badlwin looks like he’ll have WR3 value going forward… Marvin Jones isn’t a scrub after one down game. He’s still a quality add… Ditto for Lance Moore. Who I continue to prefer over Kenny Stills… As long as Nick Foles is under center for the Eagles, Riley Cooper is a must own. The Foles/Cooper Vanilla Thunder combo sparked a slew of Billy Volek/Drew Bennett comparisons Sunday afternoon. That made me happy... Jeremy Kerley’s elbow doesn’t look good, early reports are that he won’t be back this season. Bad for the Jets, good for Fantasy gamers looking to take a waiver wire gamble on a receiver. David Nelson was a giant letdown for me against the Saints coming off two solid weeks, but blame the game plan - not the player. The Jets just didn’t have to pass, and any time you can limit the number of times #GENOPICKS tosses it up for grabs, the better. Nelson will be dropped in any league where he had been added, but you need to keep him on your radar - or the “Watch List” - and earn yourself one of those stupid Yahoo! medals in the process. Greg Salas is in the NYJ receiving mix now as well, but be warned, “You don’t win friends with Salas”. As it was revealed against the Chargers, Jordan Reed isn’t the best tight end in the history of time. So for the people that told me they were starting Reed over Jimmy Graham (Yes, these people actually exist ), I’m glad you got what you deserved. Clearly, I’m not the petulant type, at all. Reed remains the best pickup at the position however, so don’t worry about him… Tim Wright scores! He’s the number two receiving option in Tampa’s offense, something that doesn’t sound like that’d be good, but it has been. No reason for him to be unowned at this juncture… Case Keenum likes throwing to Garrett Graham. In fact, he’s done it 14 times in his first two starts… During the Bills/Chiefs game, after a short Anthony Fasano catch, Dan Dierdorf proclaimed, “Fasano’s no Jimmy Graham, but…” I stopped listening at that point, but you know what? He’s not wrong. NICK FOLES: PRESIDENT OF TDS!!!!!!! Ya, tossing 7 TDs will have you atop the power rankings. Stunning, right? As long as Foles is starting in Philly he needs to be owned. He’s a better fit in the Chip Kelly offense than Michael Vick and he does a superb V.I. 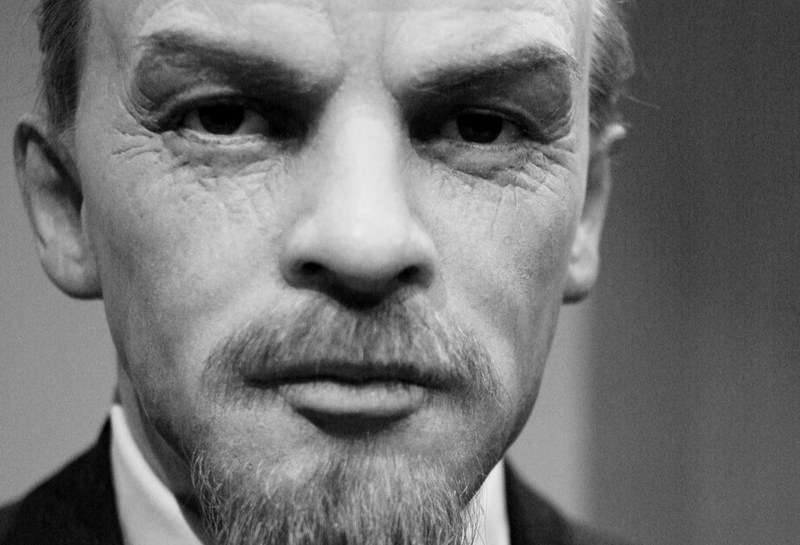 Lenin impression in terms of distribution – making certain everyone gets an equal share of the rewards. And don’t underrate playing in the NFC East, all those teams have awful pass defenses… He’s ON THE CASE Keenum. Remember when he played for the University of Houston and he had that crippling addiction to passing as much as humanly possible? It’s still something Keenum struggles with to this very day… Mike Glennon is secret good… Ryan Tannehill won't be great long term, but if you need a QB this week, he gets the putrid Bucs pass defense. A defense that has given up at least 22 Fantasy points per game to opposing QBs the past four weeks. The Bills offense is beat up and hilariously inefficient. Plus, they're always a great team to stream a defense against whenever they venture away from upstate New York. And I don't care if E.J. Manuel is back or not. Although, if Jeff Tuel starts again, the Steelers will be ranked #1 in my Week 10 D/ST rankings.. Start defenses against Kellen Clemens. Lets make that a rule... Washington's defense isn't good in real life, but they are highly opportunistic. So, mix that trait with some Christian Ponder on a Thursday night, and that makes the Redskins the Mr. Deeds SNEAKY D of the week.